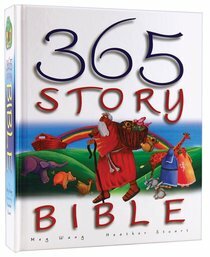 This illustrated Bible for young children provides a short story for every day of the year. Accompanied by bright, simple pictures by Heather Stuart, and with stories from God's creation of the world to the life and teachings of Jesus, it is a perfect Bible storybook for bedtime or anytime. 19x16cm, 384 pages! - Publisher. Meg Wang was born in Los Angeles, lives in London and has degrees from both the University of California and of Cardiff. She is a writer, editor, poet and singer and was closely involved with Starbright, a non-profit organization that creates multimedia programmes for children with chronic illness.